Suzuki Swift - 2017 is among one of the successor models of Suzuki hatchback 5 doors cars it is a third generation model, it is considered as low price car for family. The models include ZC72S, ZC82S and ZC32S. The second generation 1st model was introduced back in 2004 in Paris Auto Show. It is also labeled as Concept S and Concept S2 cars. It is ideal budget car especially in Asia and south Asian region which include India, Pakistan, China, Japan, Malaysia, Nepal, Bangladesh, Bhutan and Sri Lanka. 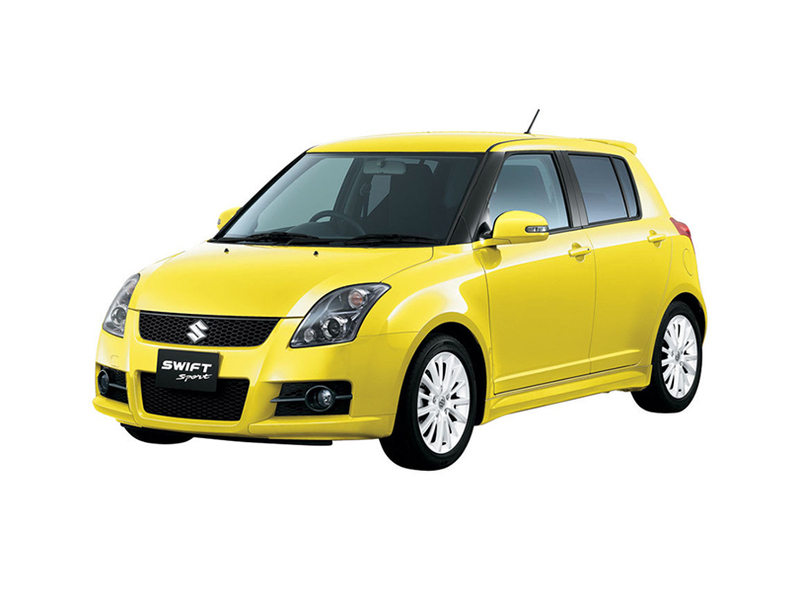 Suzuki Swift was initially designed for European market but gained much popularity in Asia. Suzuki Swift – 2017 offers premium interior with most comfortable and mesmerizing interiors, which make you feel luxurious and elegant while driving or sitting. Starting from the dashboard which is sleek design made up of plastic, leather and rexine same as the seats, in the middle you would find the ac air output, multimedia system, ac controllers and small container to put tiny stuff. While in the middle there is a manual or automatic gear lever, a hand break and a box to put medium size stuff. At the other side of the steering wheel there is glove compartment. Suzuki Swift – 2017 may available with 1.2 L I4 (petrol), 1.3 L M13A I4 (petrol), 1.5 L M15A I4 (petrol), 1.6 L M16A I4 (petrol), 1.3 L I4 (diesel) engines with 5-speed/6 speed manual, 4-speed automatic and CVT automatic with 7-speed manual mode transmissions. Suzuki Swift 2017 is estimated 26.59kmpl to 30 kilometers per liters which is best in 1300 cc car’s mileage in comparison to other giants of brands and models. Suzuki Swift 2017 may available in Mysterious Violet, Fire Red, Granite Grey, Pearl Arctic White, Glistening Grey and Silky silver colors. Check out all variants of Suzuki Swift 2017 with details specifications, all variants, high quality images of interior exterior and prominent features with variety of colors at Shoprex.com, also the updated price of each model is also listed with the respect of its variation and type. Compare all models of Suzuki SWIFT 2017 Price in Pakistan; explore 2017 Suzuki SWIFT Hatchback specs, images (exterior & interior), videos, consumer and expert reviews. Suzuki SWIFT 2017 features include transmission type (automatic/ manual), engine cc type, horsepower, fuel economy (mileage), body type, steering wheels & more. The most economical price Suzuki SWIFT 2017 model is the SWIFT DLX 1.3 Navigation at PKR 1,375,000 and the most expensive model is the SWIFT DLX Automatic 1.3 Navigation at PKR 1,511,000. Currently (2) Suzuki SWIFT 2017 model variations are (Suzuki SWIFT 2017 DLX 1.3 Navigation, Suzuki SWIFT 2017 DLX Automatic 1.3 Navigation) available in all cities (Karachi, Lahore, Islamabad, Quetta, and Peshawar etc.). I am looking for a swift 2017 model with 10/10 condition with original paint and chassis, if anyone is interested to sell please sell in yellow color same above, please reply me here and leave his/her contact number. Suzuki Swift 2017 is a unique model of others model in a swift car really I like swift especially 2017 model.this is great website because there is available all cars information and price.